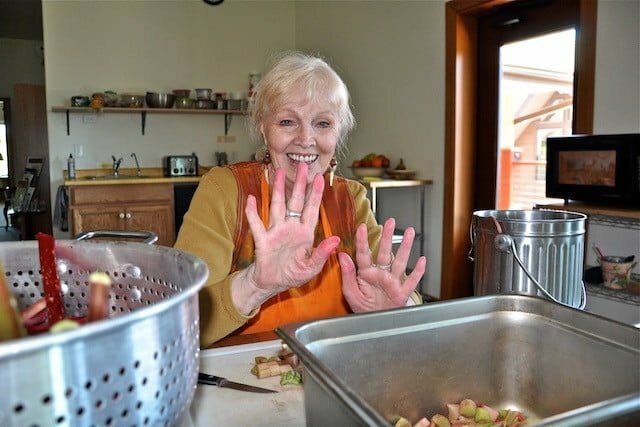 Volunteer at the Abbey or from home. We volunteer with a motivation to be of benefit. Every visitor gets involved with offering service. You can too. 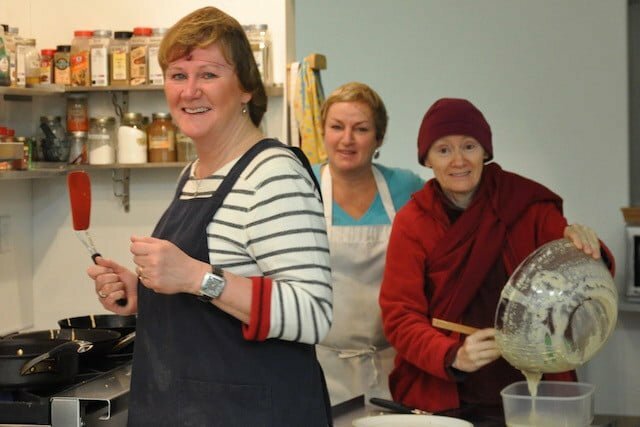 Sravasti Abbey exists by the kindness of volunteers—literally. Whether offering service at the Abbey or volunteering from home, we aim to “create peace in a chaotic world” in all that we do. It’s fun to work in a team—indoors and outdoors—sharing the Dharma as we care for the Abbey land and facilities. Won’t you join us in transforming our world? Enjoy the Abbey’s beautiful rural setting and work with like-minded people for something you believe in. See the Visit section to schedule a visit. Are you a WWOOF-er? 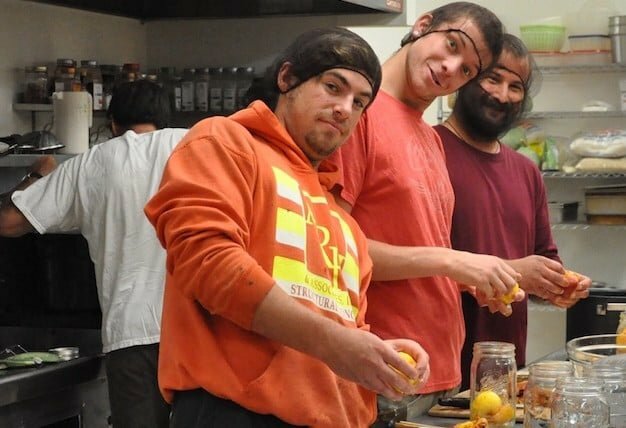 Look for the Sravasti Abbey page on WWOOF-USA. We’re happy to have help with cleaning, organizing, sewing, and editing. We welcome cooks—especially for large events—and tap graphic designers, photographers, and computer pros as needed. 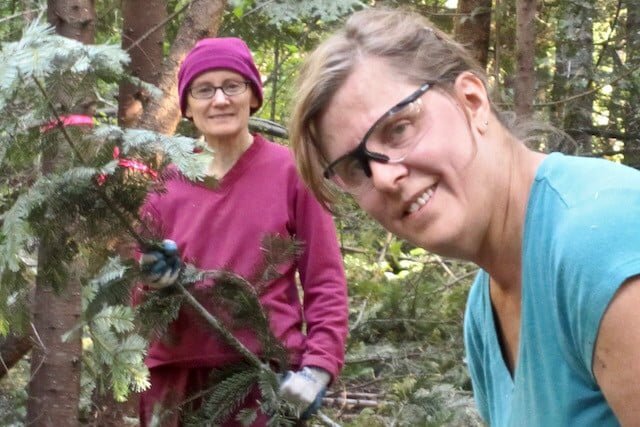 Depending on the season, we’ll have you thinning the forest, canning and freezing fruit, preparing mailings, or stringing prayer beads for the incarcerated. We have sedentary tasks and heavy outdoor projects. Sometimes we seek specific skills. For many jobs, no skill is required. There’s really no end to the possibilities of how to offer service. Come see what we need, or write the office to offer your skills. From April to October, we also host a monthly Offering Service Saturday. Check the Event Schedule for the next one. We are grateful for the opportunity to offer service to the Buddha, Dharma, and Sangha and to sentient beings. While working with others, differences in ideas and ways of doing things may arise. These are natural and a source of creative exchange; our minds don’t need to make them into conflicts. We will endeavor to listen deeply and communicate wisely and kindly as we work together towards our common goal. Using our body and speech to support the values we deeply believe in—generosity, kindness, ethical conduct, love, and compassion—we will create great merit, which we dedicate for the enlightenment of all sentient beings. 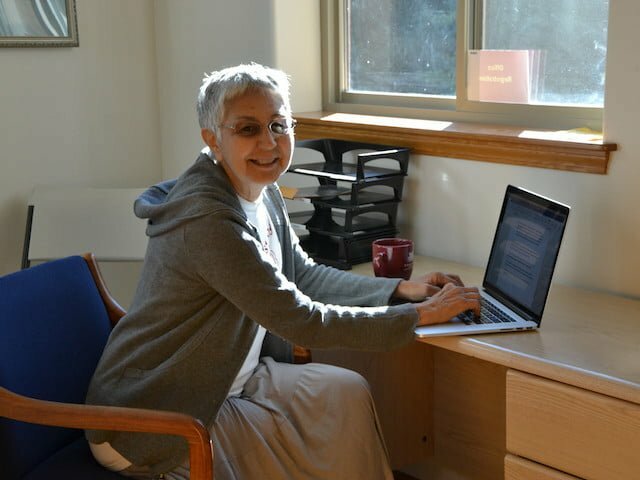 Important Abbey functions are done by volunteers from home—things like graphic design, proofreading, transcribing teachings, and audio editing. If you’d like to work from afar, write our Volunteer Coordinator. Tell us what skills you’d like to use and we’ll match you up with an offering service task. Be patient, though. Sometimes it takes a while to connect a volunteer to the right job. 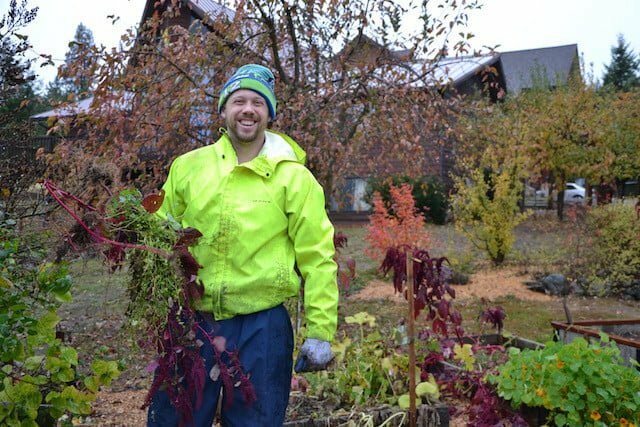 For folks who love to work outdoors, there’s plenty to do at the Abbey. With nearly 300 beautiful acres of forest and meadow, we do much work in the forest. From April to November, depending on snow, we welcome help in thinning the dense stands of trees and shrubs for forest health and fire prevention. Abbey vegetable and flower gardens are prolific and always need some attention—weeding, composting, planting, or harvesting. If you know a weed from a carrot top, come give a hand. Or if you’d like to learn, we can teach you.